• Sedanic Majesties. We drive a pair of Mercedes-Benz V126s first owned by Rolling Stone and Rhythm King Bill Wyman. Will you be their next owner? • Chasing Cars. Russ Smith heralds the buoyancy of the affordable end of the market, and tracks the sudden slump in Ferrari values. Plus, is it finally time to buy a big Volvo? • Ads on Test. 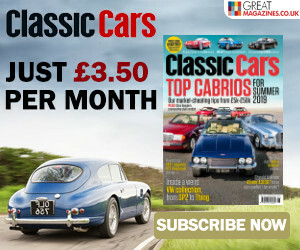 A Jaguar XJC, Pontiac Firebird Trans-Am, Ferrari 308 GTBi and Porsche tractor pass under our buying microscope – which one’s your ideal buy? 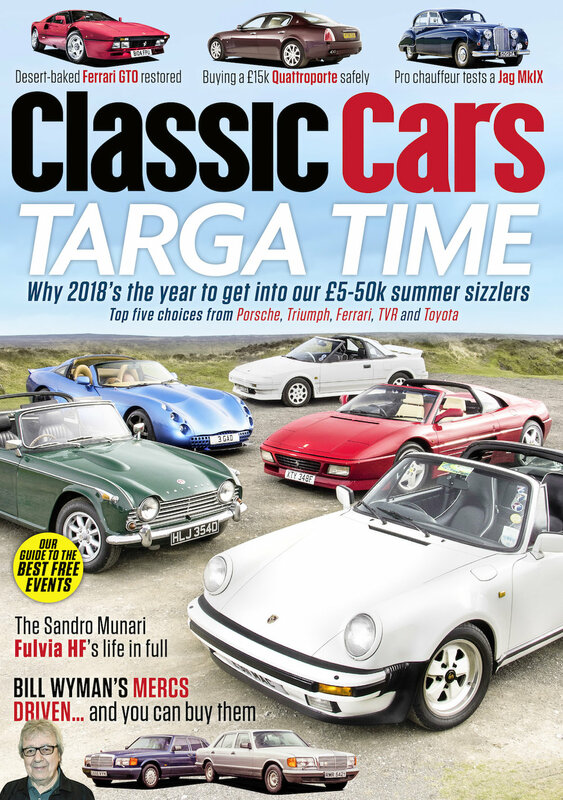 • The Classic Cars Free Events Guide. Coffee-fuelled morning gatherings, pub meets, surprisingly large classic car shows and even a major motor sport festival are among the great events you don’t have to pay to get into. Which ones will you go to? • Letters. The importance of caveat emptor, and who really was an Interserie champion?